Bugatti has just released a new video of its 3D-printed titanium caliper. Previously shown as a prototype almost a year ago, the hypercar manufacturer has been testing it since. Said to be the largest 3D-printed part ever manufactured from titanium, the caliper features eight pistons and weighs 2.9 kg, making it 40% lighter than the calipers used currently by the Chiron. To show us what the new caliper can do, Bugatti installed it onto a machine which simulated a Chiron stopping quickly from 375km/h to a slow speed repeatedly. 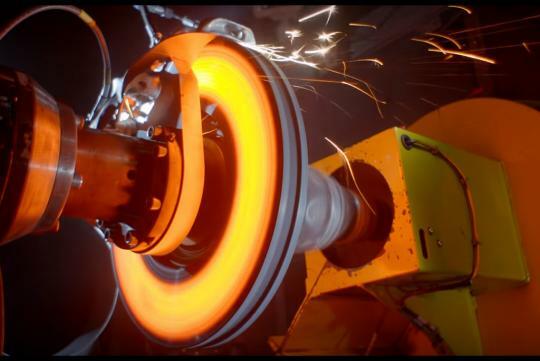 While most of use probably can't appreciate how much of an engineering feat it is to make a caliper perform under such immense heat, we are sure you can appreciate how well shot the video is. It remains to be seen when the new calipers will make into any production Bugatti.